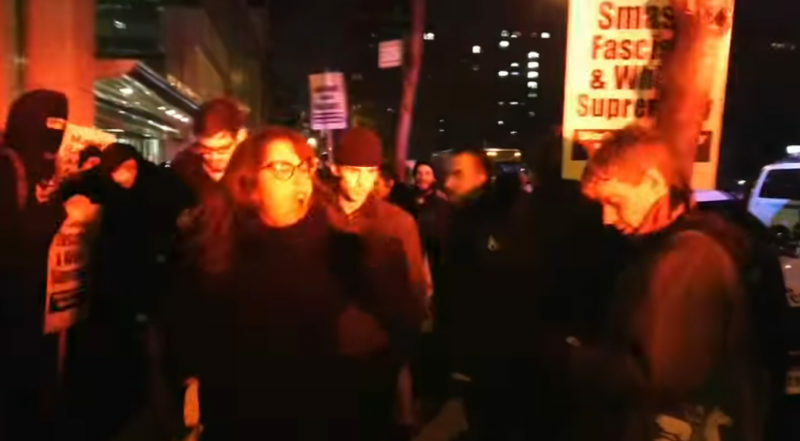 If you listen through the rant, this crazy person started berating the NYPD for daring to protect Gavin McInnes and people coming to hear him speak. Vice co-founder and current host of ‘The Rebel’ Gavin McInnes was greeted by left-wing protesters Thursday night at NYU. A so far unidentified NYU professor was captured on video screaming at police for not doing anything to prevent McInnes from speaking.